Setting up many students for failure, the Chicago public schools uses the NWEA Measures of Academic Progress (MAP) as a high-stakes test. It’s impossible for all test takers to score well. Despite being reasonably well-informed on the issue, I still get floored by how twisted this is. 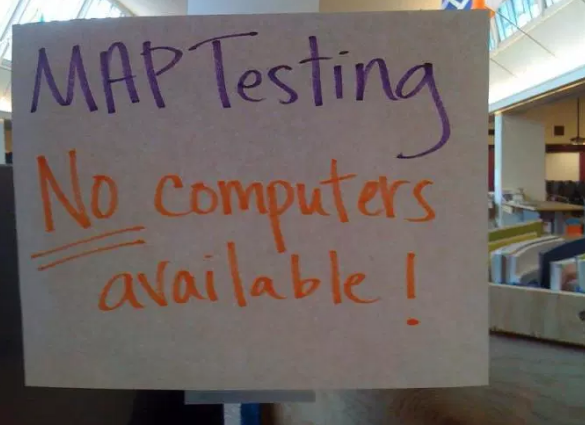 Image from a 2011 blog post "15 reasons why the Seattle school district should shelve the MAP test – ASAP." (https://seattleducation.com) In Chicago, Parents United for Responsible Education also wrote eloquently and organized relentlessly over the issue in the late 1990s. Despite continued Chicago and national pushback, the misuse of standardized testing is still going strong.In addition to many decisions on Individual Education Plans and programs within schools, high-stakes decisions like promotion in grades 3, 6 and 8, and high school selective enrollment entrance in grade 7 are based on the NWEA MAP scores. As a special education teacher in an elementary school I am required to have my non-reading special education students sit down in front of this NWEA test, for which we are not allowed to provide appropriate accommodations. My kids get tested on every single possible standard they could ever encounter over years of schooling and then their "score" is not a pass/fail, it is a comparison. A percentile. A "norm-referenced" test. 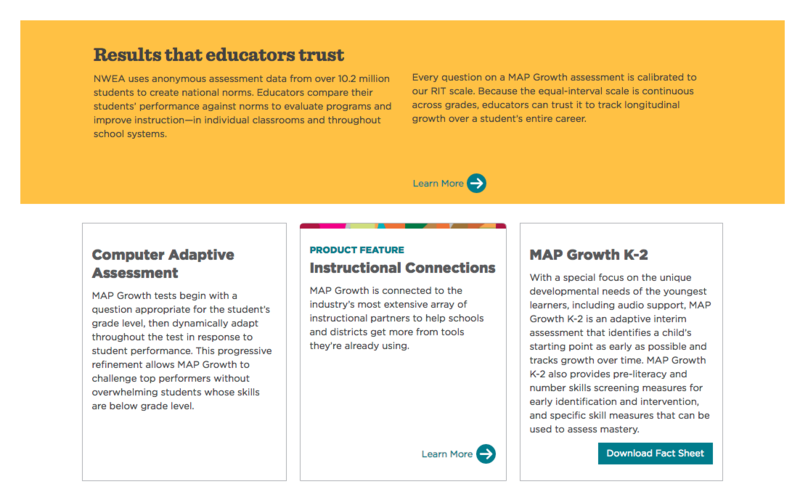 According to the CPS MAP fact sheet, “The MAP Assessment is a web-based, computer-adaptive, multiple-choice assessment with questions that automatically adapt to each student’s instructional level based on their responses, independent of the enrolled grade level. The final score is an estimate of the student’s achievement level. This assessment can inform instruction, track student growth over time and project student growth targets.” No information is given about norm-referencing. Even if we work our butts off, and kids are learning like crazy (within the silly confines of this assessment), it actually doesn't matter. This test is designed to create a bell curve. All kids cannot “pass” it, no matter what the teacher or the student does. There will always be the same number of kids at the top and the bottom and the middle. And it is always the same kids at the bottom, isn't it? These tests are different than performance tasks, tests developed by teachers that cover one, single standard/concept in a course. If a teacher prepares her students, theoretically, every single student can pass criterion-based assessments. NWEA itself says using NWEA MAP as anything other than a diagnostic is a misuse of the test. It sets up many to fail. These bogus scores are being used to dismantle public education, especially in Black communities. It's being used to justify mass school closures, firing of teachers especially Black teachers, and the warping of the education experience of students most prominently for Black students.